Halyk, Alimpii [Галик, Алімпій], b ca 1685 in Bohuslav, Kyiv voivodeship, d May 1768 in Kyiv. Icon painter and engraver. As a member (1724–44) and head (1744–55) of the Kyivan Cave Monastery Icon Painting Studio, he took part in painting the interior of the Dormition Cathedral of the Kyivan Cave Monastery (1724–31) and the exterior of the Trinity Gate Church (1742–4). 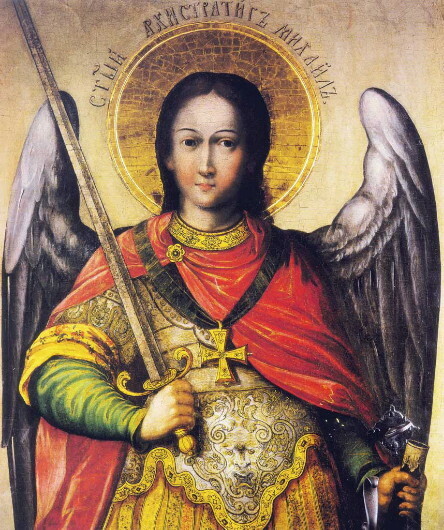 He also painted the icons of Saint Elizabeth’s Church and Fortress (1754), of Saint Cyril's Monastery in Kyiv (1759), and of many other churches in the Kyiv region and Poltava region. Icon sketches, prints, and portraits bearing his signature have been preserved in the albums of the Icon Painting Studio.